In 2018 there are about 230 financial members of the Australasian Region. Almost three-quarters of our members reside in Australia, with more than half of these from the states of Queensland and New South Wales. The other quarter of our members are mostly from New Zealand, although we also have members that reside in England, USA, China, Germany and Thailand. We welcome as members biologists, mathematicians, statisticians, and others interested in applying similar techniques. Individuals usually join as regular members, but we also offer student, membership. See this document for more information for new (and other) members. The two membership categories (regular and student) are explained on the membership form. 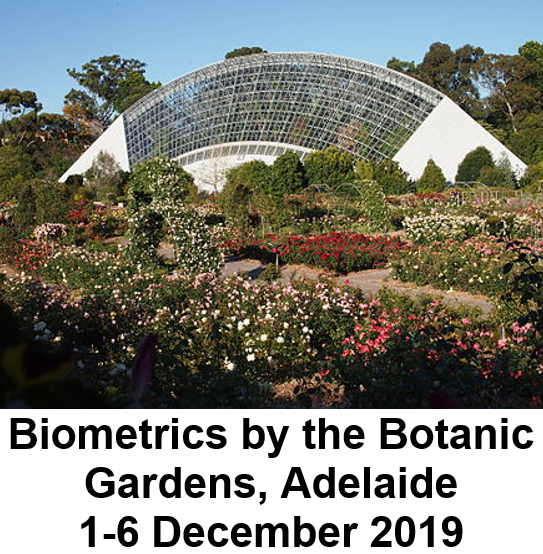 All members of the society receive electronic access to the journals Biometrics and the Journal of Agricultural, Biological, and Environmental Statistics (JABES), as well as the newsletter Biometric Bulletin. Student membership is free but only regular members have voting privileges and can hold office. If you would like to join the society, then please complete our membership form and either email or post back to the Treasurer. Instructions are provided on the form. end March: Members who did not renew in 2018 are struck off. end April: Members from 2018 who have not renewed for 2019 become unfinancial and receive no further electronic nor paper publications.